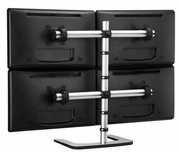 The Visidec Quad freestanding quad desk mount is an ideal accessory for any multi monitor application. Being able to mount four screens in 2 rows with such versatility of movement creates a superior workspace for optimum productivity. 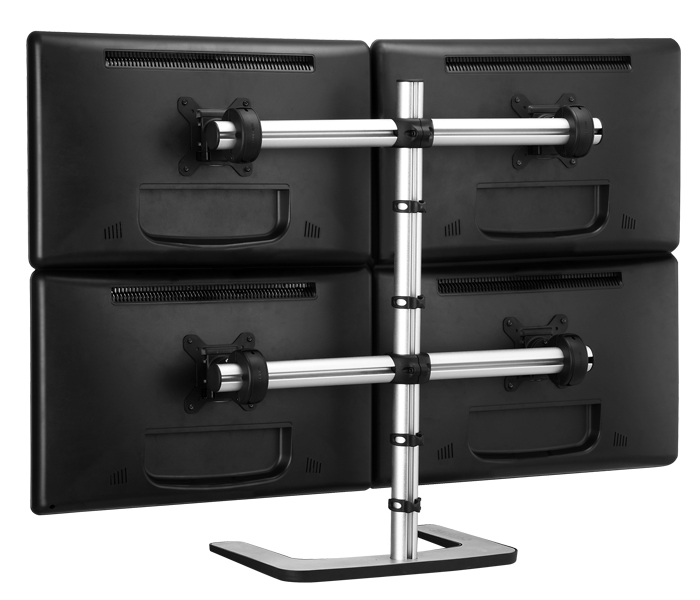 All 4 monitors can be independently and infinitely adjusted up to 20° in any direction, and provides landscape to portrait rotation. The unique QuickShift lever provides independent height adjustment without the need for a single tool. An elegant design with a footprint so small, at just 16.25” (422mm) x 12" (305mm), leaving your desk clear of clutter with the flexibility to be located anywhere on the desk.